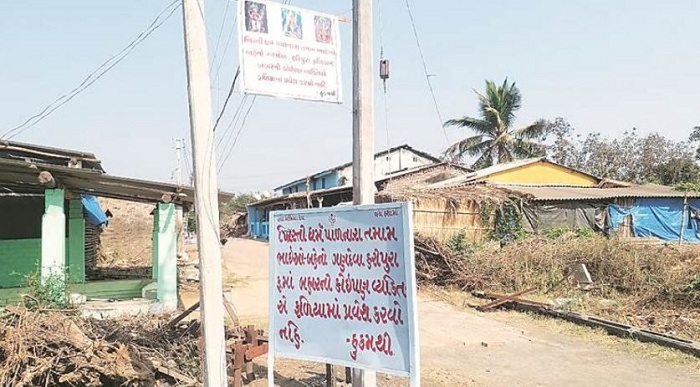 Tribal Hindus are reportedly so ‘fed up’ of Christian conversion that they have put up banners announcing a ban on the entry of the so-called outsider Christians. The case reported by the Indian Express is eerily similar to the case from Sri Lanka, where the minority Tamil Hindu community put up banners of Nandi to thwart stop the Christian Missionaries. The latest case is from Navsari district’s Gandeva village of Gujarat where the Tribals took to this measure to stop the “outsiders from coming to the village and converting tribal Hindus,” reported the Indian Express. The Indian Express report notes that while the village has a population of 7,500 with the majority of them belonging to Halpati community, a Scheduled Tribe, others are from the Bakshipanch. Christian school shames Hindu student for wearing rakhi? Satish Kataria, who is the Village sarpanch, said that the conversion began around eight years ago when the first prayer hall of Christians was built. Five years later, a second prayer hall was built, then the third prayer hall was built on Hathwada street, and the fourth prayer hall was built around one and half year ago on Kharel street. Local Hindu tribals do not want that such prayer hall to be built on Haripura street. So, they may have hanged such banners. Those who convert to Christianity are farm labourers or do petty jobs. No one has opposed these banners said Katariya but added that he has come to that some Christians of the village are unhappy but he said that he requested the villagers to keep the peace. Another Christian Missionary puts endangered tribe at ‘risk,’ could be tried for Genocide!